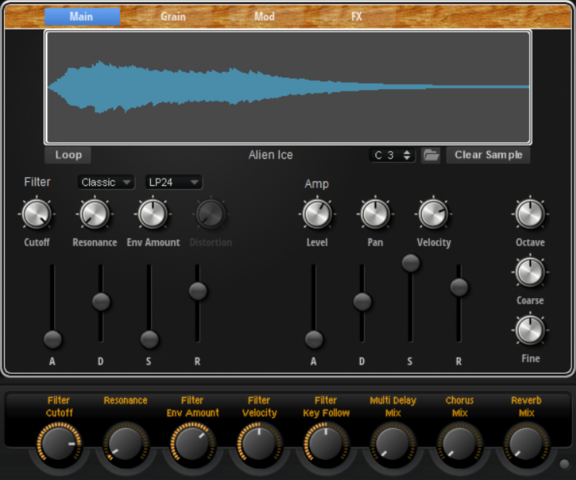 Granular sampler instrument for HSSE3. Library has 10 presets, mostly sound effects and pads. Just did some minor revision. Aligned a few knobs and fixed the modulation matrix. Depth amount for pitch is now set in (+/-60) semitones instead of percentage. Yes. It's on my OneDrive. I tried to adapt the link to make it a direct download link. It worked when I tested it but I didn't test all possible devices and operating systems.